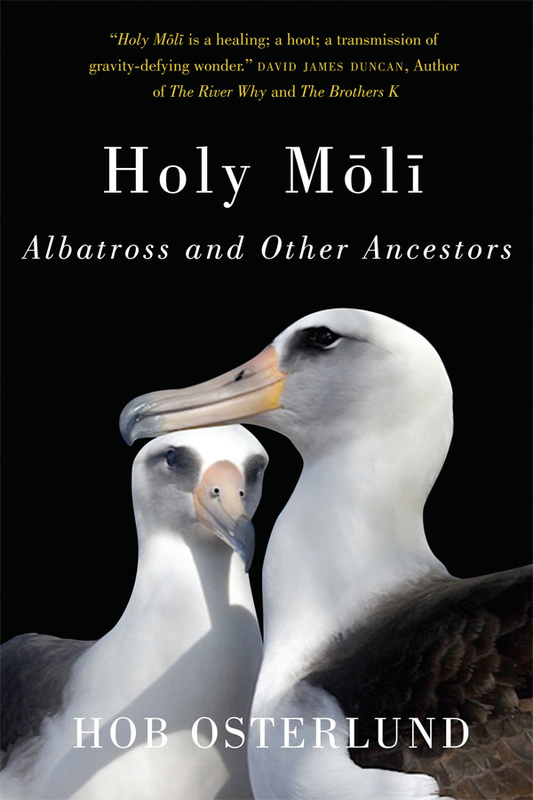 Hob Osterlund’s new book Holy Mōli: Albatross and Other Ancestors is a natural history of the albatross, a moving memoir of grief, and a soaring tribute to ancestors. We are pleased to be able to offer it with four different purchase options, below. But first, let us tell you a bit how this book evolved. Autographed copy of Holy Mōlī. During the purchase process you will be able to indicate the name of the person to whom the book should be inscribed. Includes a free copy of Susan Dierker’s book, Albatross of Kaua’i: The Story of Kalolakulua. Buy Holy Mōlī directly from publisher, Oregon State University. $18.95. Buy Holy Mōlī from an independent bookseller. If you care about fostering local bookstores, this is a good choice. Use the Shop Local feature to find a bookstore in your area. Prices vary. Visit IndieBound. Buy Holy Mōlī from Amazon, Paper, $18.95. Kindle Edition, $11.99.